Is there a better alternative to Proelia? Is Proelia really the best app in Gaming Tools and Utilities category? Will Proelia work good on macOS 10.13.4? 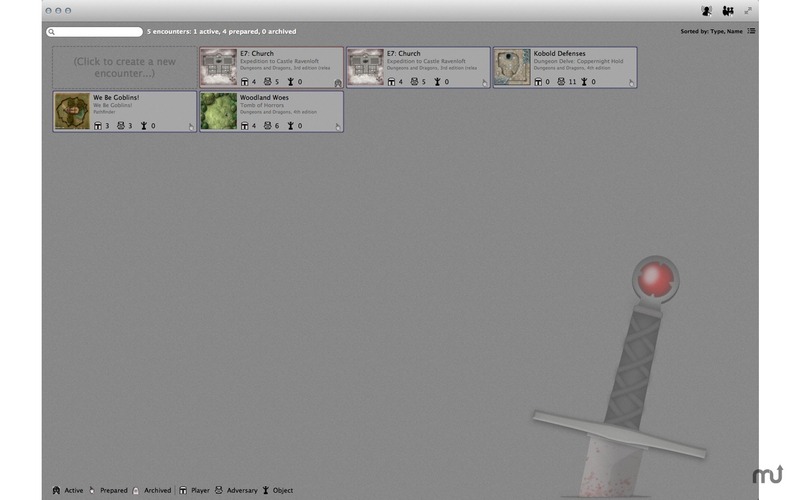 Proelia is an application that allows you to prepare and run encounters for a number of pen-and-paper role-playing games. Encounter planning: Create "prepared" encounters for later use, and then run them any number of times with the click of a button. Drop-in groups: Create a group from an encounter's participants, and re-use them in other encounters. They can be dropped into any encounter on the fly. Tokens: Set the color and marker text for each participant in the encounter, so you can quickly find them on the map. Fixed a crash when trying to open an encounter. Fixed erroneous text on some tooltips. Added the ability to load plugins not packaged with the app. Proelia needs a rating. Be the first to rate this app and get the discussion started! Multiple game systems: Supports a variety of RPGs through a plugin system that allows new systems to be added. Flexible condition tracking: Supported game systems provide an array of pre-fab conditions that can be applied to participants or regions. You can also add custom conditions. Integrated mapping: Each encounter can display a map that allows you to track positioning of participants, especially in relation to regions, so you can tell if someone is standing too close to a fire, or is subject to an aura or other environmental effect. Statistics: Keeps track of the length of the encounter, and allows you to see the longest, shortest, and average turn length.